Located in an affluent suburb, south east of London, Shepheard's House sits on one of the town's main roads and is surrounded by beautiful green parklands. 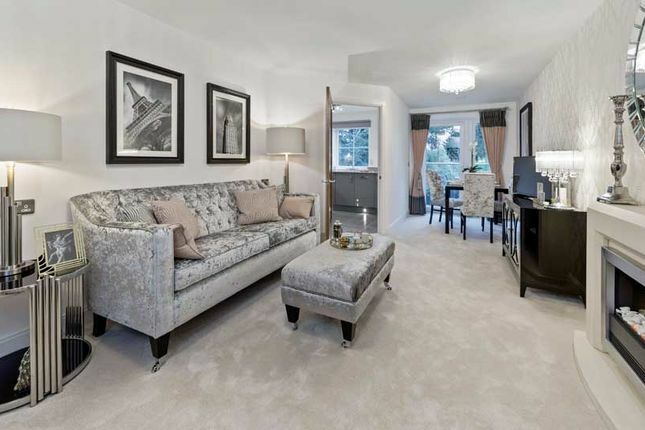 The development boasts both luxury one and two bedroom apartments, exclusively for those over 70. Shepheard's House has all the usual McCarthy & Stone Retirement Living plus facilities including a guest suite, club lounge and landscaped gardens, as well as a garden driveway entrance, parking and an on-site bistro for easy dining options. 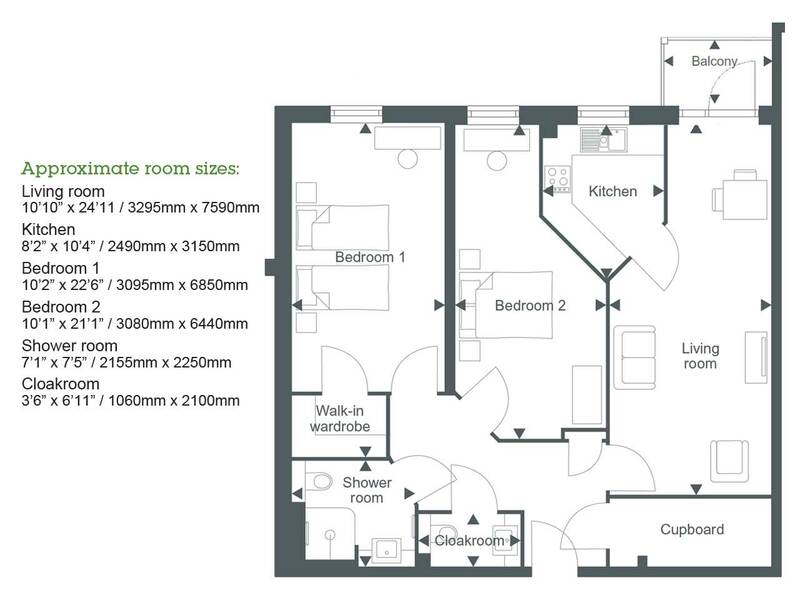 The complex enjoys a desirable location, with the nearest amenities on Royal Parade, just 0.3 miles from the site. Here, you'll find a selection of independent retailers, a clothing boutique, florist and gastro pub. The Chislehurst train station is 1.2 miles away with direct connections to London Charing Cross, Sevenoaks and Orpington. For those who prefer the bus, there is a stop a few hundred yards from the development, with services following the 61 and 273 routes. Chislehurst high street, Royal Parade and Lewisham and Bromley are a few minutes by bus, while the sheltered bus stop at Chislehurst War Memorial offers wider routes to take you further afield. As part of the London Borough of Bromley, Chislehurst is a popular place for homeowners looking for a quiet home that's still within easy distance of the capital. The suburb has had some rather famous residents over the years, including Louis-Napoleon Bonaparte, Sir Francis Walsingham and William Camden, Clarenceux King of Arms. It's easy to see why Chislehurst is one of London's most beloved suburbs. There's always plenty to see – from the lovely green spaces of Chislehurst and St Paul's Cray Commons, to the Scadbury Nature Reserve, Derwent House and St Mary's Roman Catholic Church, the original burial place of Napoleon III and his son. The Chislehurst Caves are a well-known tourist attraction – these ancient caves were once used as an air raid shelter during World War II, and are even believed to be haunted! The caves have also been used as a live music venue, with Jimi Hendrix, the Who and the Rolling Stones all having played there. For Chislehurst locals, there are also a variety of events throughout the year, including the Community Carnival in May, the fortnightly Farmers' Markets and the Open Air cinema in July. For those who want to keep active, the development is close to the Sidcup Leisure Centre, the Chislehurst Lawn & Tennis Club and the Chislehurst Golf Club. Property descriptions and related information displayed on this page, with the exclusion of Running Costs data, are marketing materials provided by McCarthy & Stone - Shepheards House, and do not constitute property particulars. Please contact McCarthy & Stone - Shepheards House for full details and further information. The Running Costs data displayed on this page are provided by PrimeLocation to give an indication of potential running costs based on various data sources. PrimeLocation does not warrant or accept any responsibility for the accuracy or completeness of the property descriptions, related information or Running Costs data provided here.